And in the 21st century, I lost the plot a bit when it came to Lloyd Cole. He purposely moved away from making rock ‘n’ roll music: as somebody who was always too self-conscious about aging, he thought he was too old to rock, even though “rocking out” was never something anybody ever associated with Lloyd Cole in the first place. So while I liked some of the stuff he put out in that period, there wasn’t a whole record that I liked from start to finish until 2013’s Standards, which — of course — didn’t come out here until 2014. Recorded with his eternal core of Matthew Sweet, Fred Maher and Blair Cowan, Standards was easily his best record since The Negatives, and ended with the loping “Diminished Ex,” which had some nice Quine-like lead guitar (long after Quine was dead, of course), and the usual wit in the lyrics. 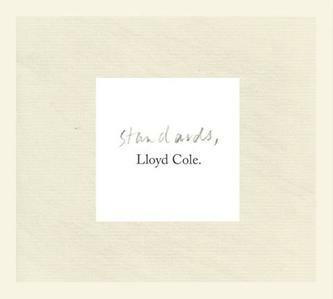 “Diminished Ex” was just one more reminder that Lloyd Cole still could churn out a crazy catchy pop-rock song with a great melody, interesting lead guitar and smart lyrics seemingly at will. And while I’m not holding out hope for more albums like Standards, I still can’t imagine a point in my life where I’m not going to be interested in the next Lloyd Cole album.